The National Center for Earth and Space Science Education, and Arthur C. Clarke Institute for Space Education, are proud and honored to present the 32 Mission Patches representing the 17 communities of SSEP Mission 3 to ISS, including SSEP’s first international community, Stonewall, Manitoba, Canada. The Mission Patches were transported to the International Space Station (ISS) as part of the SSEP Falcon I payload of Mission 3 experiments that launched on September 18, 2013, on the historic Orbital Sciences Demonstration 1 (Orb-D1) flight – the maiden flight of the Cygnus spacecraft, berthing with ISS on September 29, 2013. While the SSEP Falcon I payload only contained 5 of 17 Mission 3 flight experiments – the remaining 12 experiments will be launching in December as the Falcon II payload – all Mission 3 Mission Patches flew together on Falcon I. Across the 17 Mission 3 to ISS communities, 33,200 students were given the opportunity to participate in mission patch design competitions at the local level, and there were a stunning 4,840 patch designs submitted. Judges within the communities selected 32 patches to represent all 17 communities. The Student Spaceflight Experiments Program (SSEP) is about inspiring America’s next generation of scientists and engineers, and engaging entire communities in the process. It is a national program delivered at the local level, with student teams across a community designing and proposing real experiments to fly in orbit as the core activity. But community-wide engagement, and cross-disciplinary learning are also cornerstone objectives in the context of the embraced Learning Community Model for STEM education. 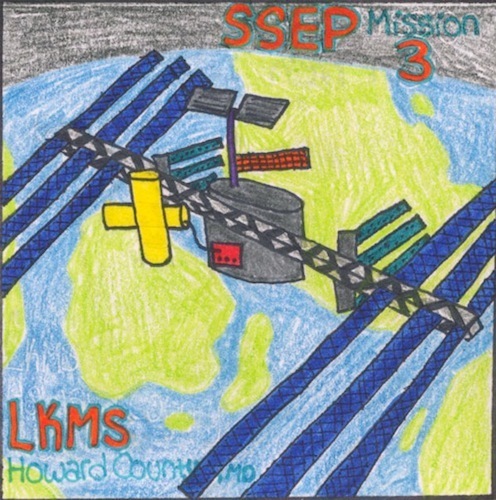 In this spirit, for each flight opportunity, SSEP flies a Mission Patch — a paper 4-inch x 4-inch square emblem designed by the students of each participating community to capture their experience. It allows students to express through art and design myriad characteristics of real research and exploration – i.e., problem solving, team work, creativity, and pushing into the unknown. The Mission Patch flies along with the community’s flight experiment, and is returned after the flight as a symbol of the community’s remarkable adventure in STEM education on the high frontier. In fact, because of the natural fit of the Mission Patch element, SSEP is really a Science, Technology, Engineering, Art, and Mathematics (STEAM) initiative. 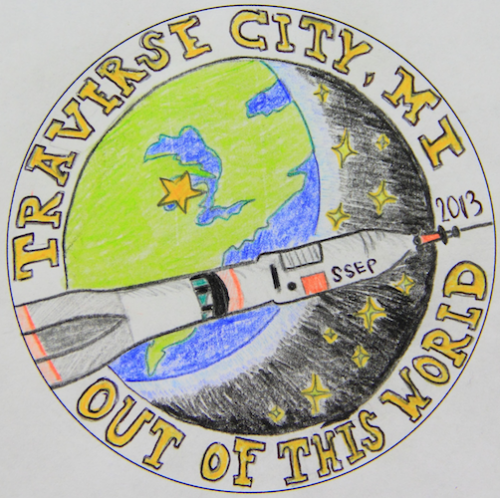 Each Mission Patch is the result of a design competition held in the community. While participation should be open to at least the students participating in the SSEP experiment design competition (which is limited to grades 5-12), we encourage each community to broaden participation by opening the design competition to wider student involvement across grades K-12, and to classes beyond STEM disciplines. A community proposing wider involvement is given the opportunity to fly two patches by engaging a secondary audience in a second competition. Many communities turn their designs into cloth patches and lapel pins, worn by students, teachers and family members, which fosters a shared community experience.The Mission Patch is a wonderful way to extend ownership in SSEP to the greater community. 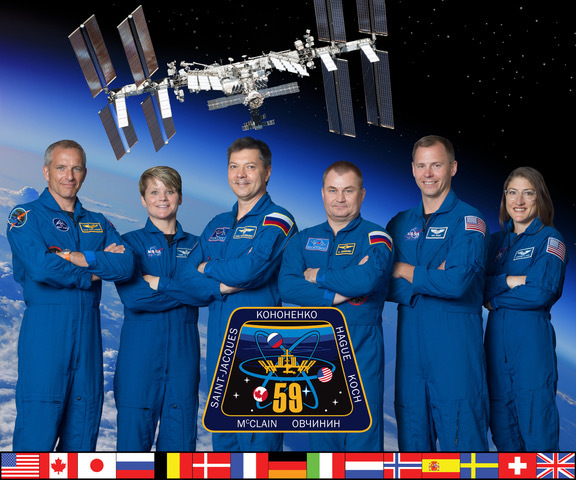 You are also invited to read more about the Mission 3 to ISS Patch Competition.